In commemoration of Catholic Schools Week, New York's Cardinal Dolan has published the column below in The Wall Street Journal. It is great to see attention given to the "singular benefit" of Catholic schools during this annual observance. 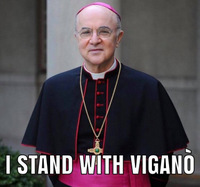 As we have written, if the Archbishop of New York can raise $175 million to restore his cathedral, he can surely find a way to save the only school system in New York that actually works. 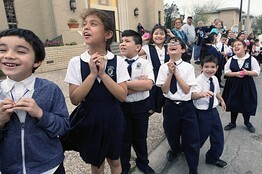 Students kick off National Catholic School Week in Robstown, Texas. Catholic schools are demonstrating, in inner-cities throughout the nation, that they are a sure path out of poverty for many low-income families. They are also chosen by many urban families because they are an oasis of safety, provide needed structure and discipline, and present a belief system that is shared by students, parents and teachers. That unifying philosophy - a belief in Christ - "in whom we live and move and have our being" - creates a powerfully nurturing community of love in which children thrive. Indeed, it is a school system that is free to tell children the truth about who they are, their purpose in life, and their eternal destiny. What better way could there be to impart the self esteem so many educators talk about these days, than to help a child grasp that he or she is the adopted son or daughter of a king? We hope that if Cardinal Dolan truly values Catholic schools, a legacy of saints, he will do much more thinking and planning before simply regionalizing the management and operations of his schools. That consolidation of schools into regional clusters has been tried throughout the nation since the 70's without success. The regional school is one to which no one feels particular loyalty and "ownership," it is usually more remote and difficult for many to get to, and within a few years its numbers decline and it closes. The Archbishop of New York need only ask officials of the neighboring Diocese of Rockville Centre about their experience with the regionalization of schools. Catholic schools play far too great a role in the salvific mission and life of the Church than to treat them as just another social service. 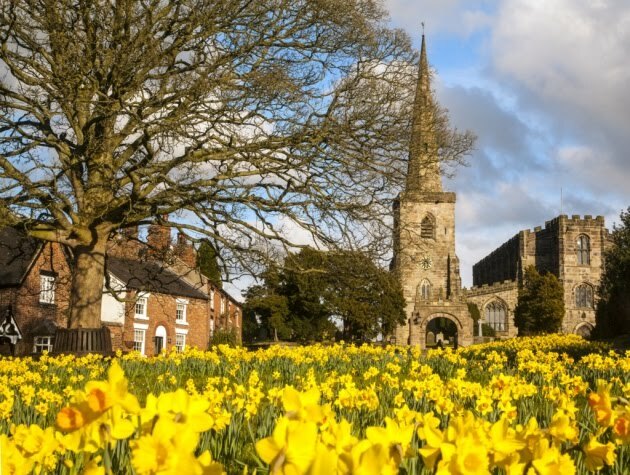 They are the place where heart speaks to heart, where the future of the Church is formed, where souls realize their ineffable importance, and where the Kingdom of God is built. How to combat falling enrollment while keeping standards high. This is Catholic Schools Week, when dioceses across the country celebrate the great gifts that are our Catholic schools. It has been a somewhat somber Catholic Schools Week for me, since in the Archdiocese of New York we recently announced that 24 of our schools will be closing at the end of this academic year. According to the National Catholic Education Association, the closings will join a national trend that has seen Catholic-school enrollment in the U.S. decline by 23.4% since 2000, a loss of 621,583 students. It is sometimes hard to understand why enrollment has dropped. After all, even the enemies of Catholic education—and, sadly, there are some who wish our schools would disappear altogether—grudgingly admit that Catholic schools are unparalleled in providing a first-rate education that also emphasizes character and virtue. I have heard from many leaders in business and finance that when a graduate from Catholic elementary and secondary schools applies for an entry-level position in their companies, the employer can be confident that the applicant will have the necessary skills to do the job. Joseph Viteritti, a professor of public policy at Hunter College in New York who specializes in education policy, recently said, "If you're serious about education reform, you have to pay attention to what Catholic schools are doing. The fact of the matter is that they've been educating urban kids better than they're being educated elsewhere." The evidence is not just anecdotal. Researchers like Helen Marks (in her 2009 essay "Perspectives on Catholic Schools" in Mark Berends's "Handbook of Research on School Choice") have found that students learning in a Catholic school, in an environment replete with moral values and the practice of faith, produce test scores and achievements that reliably outstrip their public-school counterparts. This is why, to the consternation of our critics, we won't back away from insisting that faith formation be part of our curriculum, even for non-Catholic students. As education expert Diane Ravitch has observed, "A large part of the Catholic schools' success derives from the fact that they are faith-based and that they sustain a sense of genuine community, as well as stability. To me, and I am not Catholic, the success of Catholic schools depends on maintaining their religious identity, that is, keeping the crucifixes in the classrooms as well as the freedom to speak freely about one's values." Parents who are not Catholic often choose Catholic schools because of the institutions' moral grounding, not in spite of it. They know that Catholic-school graduates—Catholic and non-Catholic alike—make good citizens, involved in community service and committed to social justice. We also find that Catholic alumni are, on the whole, more faithful in their practice of their religion as well. You will not be surprised to learn, then, that I believe our Catholic schools are a "pearl of great price," worth every drop of sweat and ounce of effort that we are making on their behalf. At a time when even public schools across the country are struggling, we Catholic educators need to be bold in our thinking and daring in our actions as we look to the future. That is why the Archdiocese of New York has instituted Pathways to Excellence, a strategic plan that is reshaping how Catholic schools are run. Since the mid-19th century, the Catholic-school model has been "one parish, one school." That served us well for many years, but it has become painfully obvious that a new model is needed. Beginning in September, the Catholic schools in the Archdiocese of New York will be broken down into regions, and every parish will be responsible for, contribute to, send children to, and have a voice in Catholic education in the archdiocese. The laity will be called on to have an expanded leadership role in school governance with pastors. An essential component of regionalization is reinvestment, which includes reallocating current resources back into Catholic education while identifying and securing additional funding. The goal is a system of strong, accessible, affordable Catholic schools, owned by every parish, supported by every Catholic, available to every child. We will also be investing more in marketing. It has been pointed out to me that our Catholic schools are a great story—but, maybe because we've been taught that modesty is a virtue, we're sometimes reluctant to blow our own horn. We must be willing to advertise, if we're going to attract more students, particularly since only about 25% of Catholic children attend a Catholic school. Finally, we will we continue and intensify our outreach to new immigrants to America. Catholic schools have been one of the greatest engines of enculturation, and through efforts like the Catholic School Advantage Program, run in conjunction with Notre Dame University, the archdiocese is reaching out to Hispanic and Latino parents to invite them to our Catholic schools. Catholic churches and schools were originally built on the small donations of immigrants who sacrificed nickels, dimes and dollars to make sure that their children were fully educated in a Catholic setting—and emerged fully American. We Catholics must never lose the nerve, the daring and the dream that inspired our ancestors in the faith. Seems fine. Didn't fire me up though.